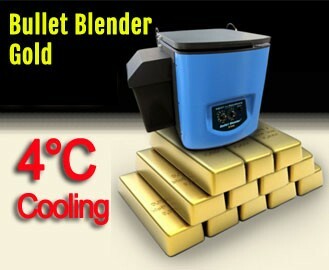 The Bullet Blender Gold combines 4°C Cooling, noise insulation to keep homogenization quiet, and extra-powerful homogenization for tough samples. 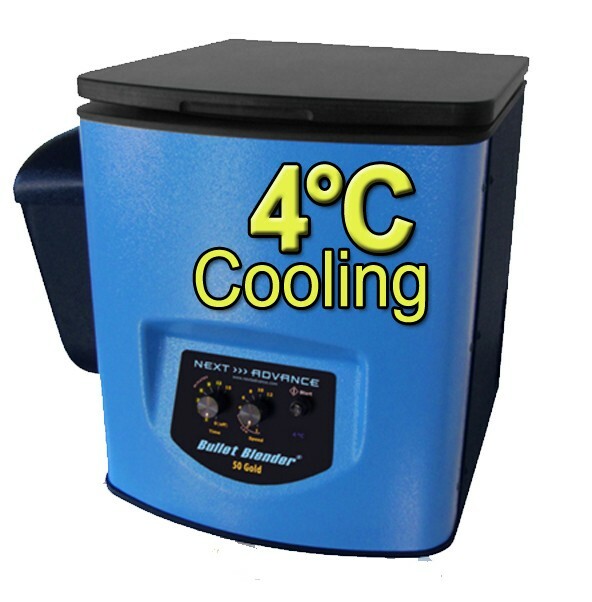 Equipped with a Dry Ice enclosure this unit can keep samples at a temperature of 4°C . This Gold Unit can process tissue or cell cultures and can process up to 24 samples in parallel, each sample up to 0.3g each in a microcentrifuge tube (1.5 mL screw-cap RINO™ tubes or snap-cap Eppendorf® safe-lock™ tubes). 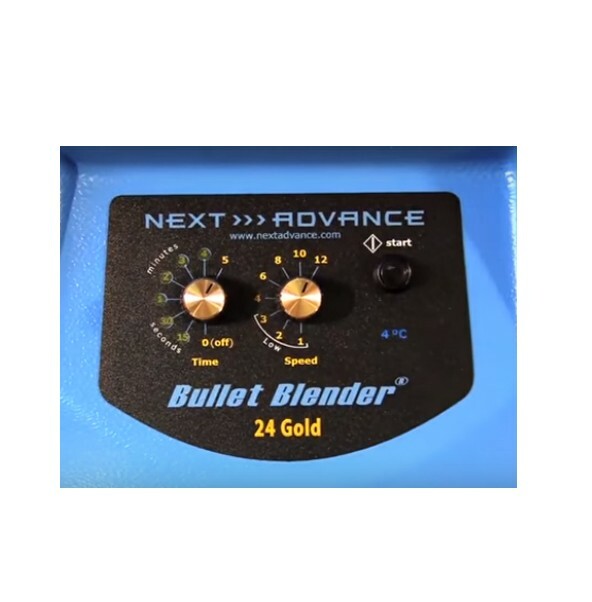 The Bullet Blender can process a wide range of samples, including organ tissue, cell culture, plant tissue and small organisms. 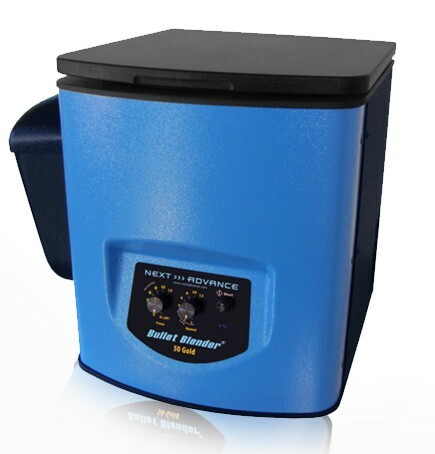 You can homogenize samples as tough as mouse femur, tumor and skin, as well as difficult to lyse cells such as yeast and algae.